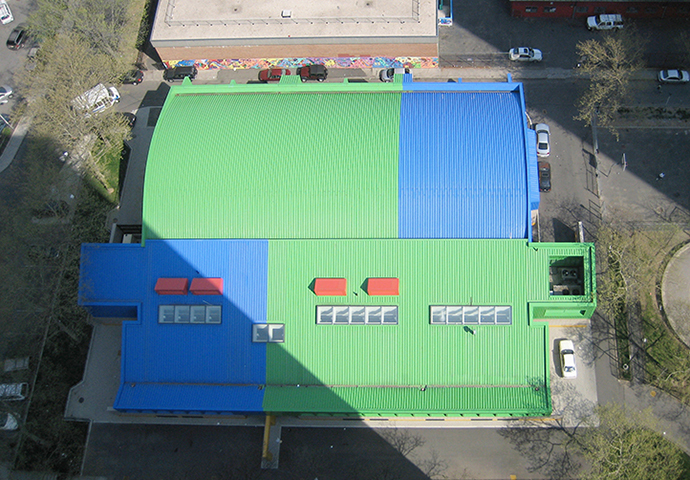 The new community and recreational center serves residents living in adjacent 15 and 30-story high-rise towers, from which one can view the sculptural quality of the unique, colorful metal roof. 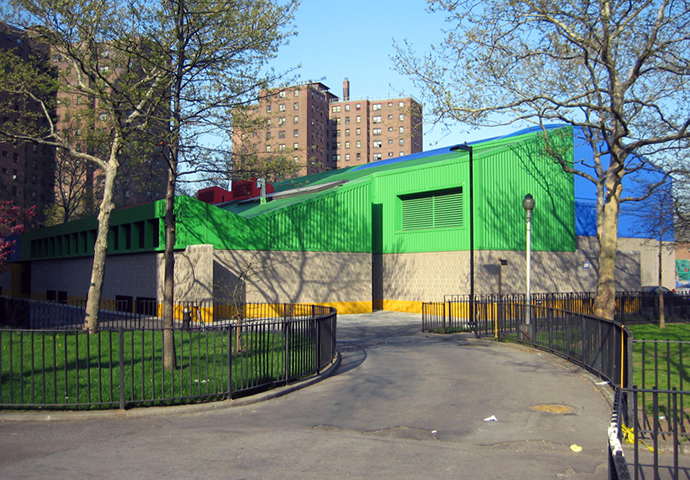 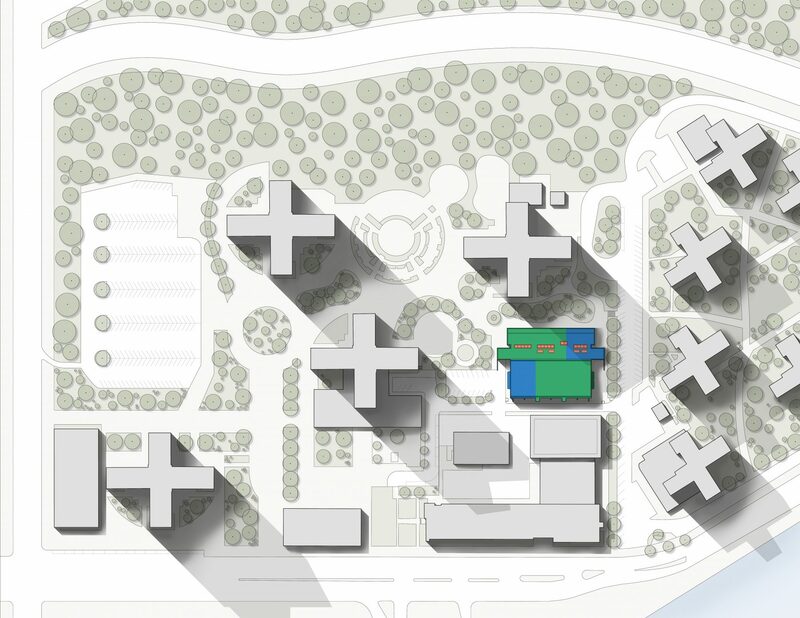 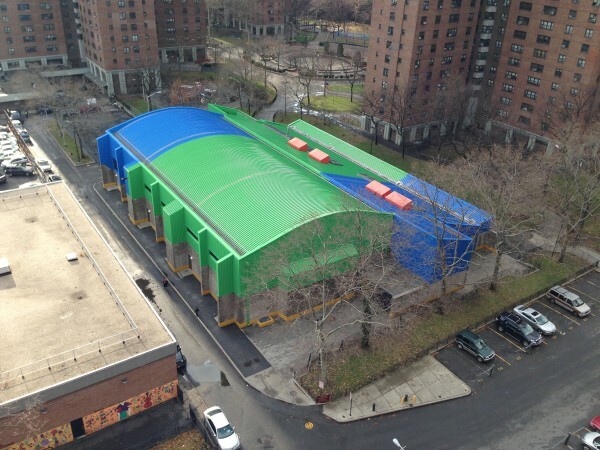 As a result of an extensive community outreach process with the NYC Housing Authority and a collaborative public effort involving a series of surveys and public forums, we shaped the center’s assortment of spaces. 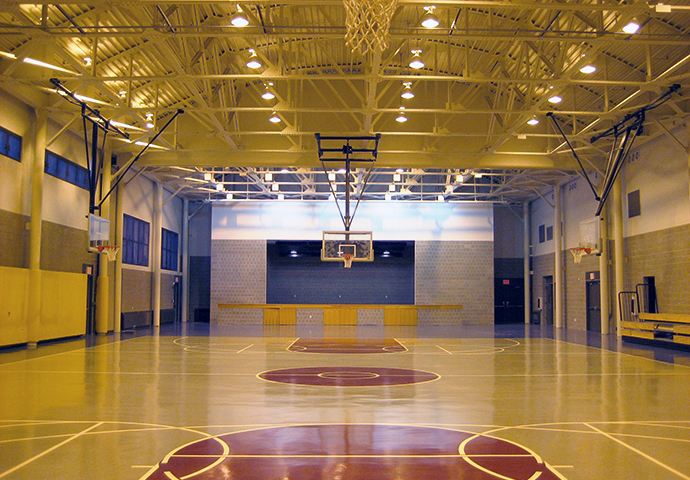 For members of all ages, the facility features a large gymnasium, classroom spaces, vocational facilities with art and computer labs, and a large multi-purpose room with a stage for theatrical performances, banquets and lectures. 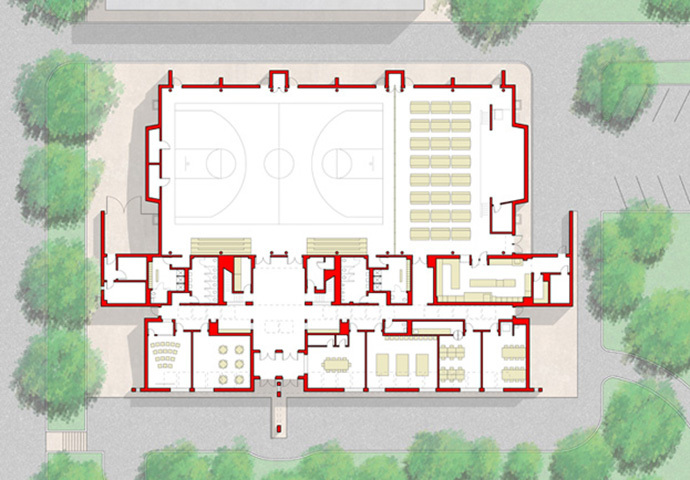 The vaulted space that encloses the basketball court and auditorium served as the inspiration for the center’s roof shape, a dynamic form when seen from above.